The commercial real estate market took quite a hit in Eastern Europe after the economic downturn, with investors backing away from what they perceived to be too risky a market. Some came away with considerable losses on properties that were previously thought to be undervalued. However, there are signs that sentiment is beginning to sway in favour of these regions once more. Property agents Cushman & Wakefield recently announced that €2.81bn had been invested in Polish commercial real estate. This represented the highest figure for the country since 2007. Other markets, such as the Czech Republic and Russia, are also seeing an increase in investment. One firm that is harnessing this upturn is Hungary-based TriGranit, which has become one of Europe’s largest property developers in recent years. Launched in 1997, the company has developments across eight countries in Eastern Europe, with completed projects worth around €2bn. European CEO caught up with the firm’s CEO, Árpád Török, to discuss the state of the market, and what opportunities there are for developers. What are some of the most important projects you are developing in Eastern Europe? Today we are in the final construction phase of our 164,000m2 shopping centre in Poznań, Poland which is part of a large mixed-use urban development, incorporating the city’s new train station and bus terminal. The train station was already inaugurated in May last year and the mall, which has an investment value of €300m, is scheduled to open this autumn. Construction of the 32,000sq m GBA B4B office complex in Krakow has just entered the fourth phase. I’m happy with leasing as more and more local and international companies opt for long-term lease contracts. Other projects that are in pre-development phases include the extension of the 40,000sq m GBA shopping centre we own in the Russian city of Naberezhnye Chelny and the 71,000sq m GBA office park project in Zagreb, Croatia. Another mixed-use urban development where we act as development consultants is on our desk. In Skopje, Macedonia, Slovenian group ERA is developing a shopping and entertainment centre with an office tower utilising our experience and know-how. How has the market in the region dealt with the recession in the eurozone? The impact of the recession has definitely created a more cautious mood both from tenants and landlords. Fewer companies are willing to move from their present office building, while owners and agencies fight for every newly rented square metre in office towers throughout the region. However, shared service centres occupy more space than three to four years ago, as more international companies relocate them to Budapest, Bratislava, Warsaw and even Krakow. Demand in retail is shrinking and, as a result, retailers are under increasing pressure to optimise their space in shopping centres and on major high streets. Big players try to put more pressure on leasing agents to get more benefits such as covering fit-out costs or including a break option within a certain period, in most cases after three years. How is the commercial property development market in this region evolving? There are still some announced projects in the region, although not as many as there used to be. The main difference is that a higher number of them remain on paper, since investors and lenders became a lot more cautious when it comes to investment decisions and they chose only the top projects. Their criteria regarding the profitability of such projects became more complex. Banks are reluctant to finance even the well-prepared projects citing weak demand and higher risks. They ask for more equity and a much higher pre-let level than four or five years ago. In some countries local legislation is hampering developments, while in others internal political games represent a big hurdle to foreign developers. At the same time, let me emphasise that in real estate development there is no such definition as a region. Countries represent different stages of economic development. Even cities in given countries show various particularities, not to mention catchment areas. Can you give some examples on major changes in the retail property sector in your base city Budapest? Contrary to global trends, where despite declining economic indicators prime retail rents have increased in the past year due to limited supply, prime rents in Budapest have remained stable at the €1,020 per square metre a year. There have not been many new retailers entering the Hungarian market and we rather see cutting of operating costs that result in a slight decreasing push on even prime rents. I can only fully agree with property agencies saying that Budapest retail can easily be seen as a bargain on a pan-European level, when it comes to quality space and this creates an excellent opportunity for new brands to secure prime locations. Big players are queuing to have more space in our trophy development Westend City Centre in Budapest. We managed to create larger retail units for them, but not all demand can be satisfied. 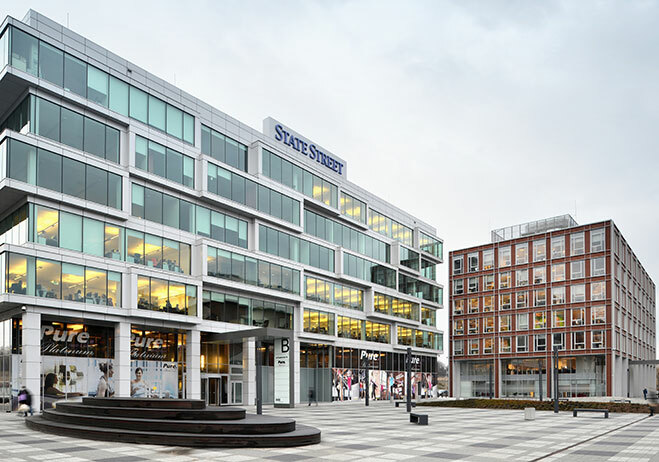 In one year we rented out almost 23,000sq m to brands like Stradivarius, G-Star, Nike, Geox, Zara, Desigual, Spar, Deichmann, Gap, Butlers and H&M. Is it too risky to run a shopping centre in Russia? It’s not riskier than anywhere else if it is planned properly. The retail property sector in Russia shows positive indicators, demand is high and yields are still above the Central and East Europe (CEE) average, but financing is more expensive. We see this in the already mentionedNaberezhnye Chelny project where we act as owner and property manager. An extension is underway as customers demand more local and international brands. The renewed centre will deliver an additional gross leasable area of approximately 25,000sq m to the market including a hypermarket and newcomer brands. What about the residential development market? It is not necessarily our core business, but in some capital and regional cities we do see substantial demand for such projects. Residential buildings with European quality standards are in short supply in Poland, Slovakia, Hungary, Romania, Russia and Ukraine. How has TriGranit sought to diversify its portfolio over the past few years? TriGranit is traditionally oriented towards the mixed-use urban developments (retail combined with offices, in some cases adding a business hotel), incorporating, at times, projects of public interest, such as train stations or bus terminals. From this perspective, we do not want and cannot change too many aspects. Diversity of our portfolio is accomplished by our active pursuit to enter different new markets, the last two examples being China and Macedonia. Now that TriGranit has commenced operation in China how has that transition been? It wasn’t so much a transition. It is a new step based on the track record of the past 15 years. I would rather say that the strong brand and the recognition that TriGranit established in Europe is required in China as well, especially since it is an emerging market demanding professionals. Our local partner realised the value of knowledge-based developments and was seeking assistance, which TriGranit was more than happy to offer and, since the signing of the cooperation agreement, we have been fulfilling our duty. We have been busy identifying and localising international development procedures to fit Chinese work ethics and so far we have been successful. There appears to be an emerging trend for sustainable buildings. How is TriGranit adapting to these market demands? Since TriGranit is continuously preoccupied with protecting the environment and making sure that all its projects perfectly integrate in the development region, all our development projects benefit of such Leadership in Energy and Environmental Design or BRE Environmental Assessment Method certification – either very good or excellent. The latest example is the brand new headquarters of K&H Bank, a leading commercial bank in Hungary, where pioneering solutions include ground heat recovery for heating and cooling, as well as recycling of energy generated by the cooling equipment used for making hot water. The office market in Budapest has experienced a gradual transformation towards sustainability, with an increasing number of green buildings. We were pioneers with some of our office towers – other developers follow us. We teamed up with Heitman European Property Partners IV to own and operate four Class A office buildings in Budapest, totalling approximately 70,000sq m. Heitman is happy to own these green buildings developed by TriGranit, as they represent a higher value. Do you have plans to expand into other countries? Traditionally, we operate in the CEE region, but we carefully analyse each and every development proposal. We have learnt to be cautious and to be prepared for flexibility as long as we work in such shaky business conditions as we see today.